Todds Cycle 1in. Center Handlebars - 1in. Speed Down - Flat Black , Handle Bar Size: 1in., Color: Black 0601-1867 by Todds Cycle at Kart Racing Network. MPN: 0601-1867. Hurry! Limited time offer. Offer valid only while supplies last. 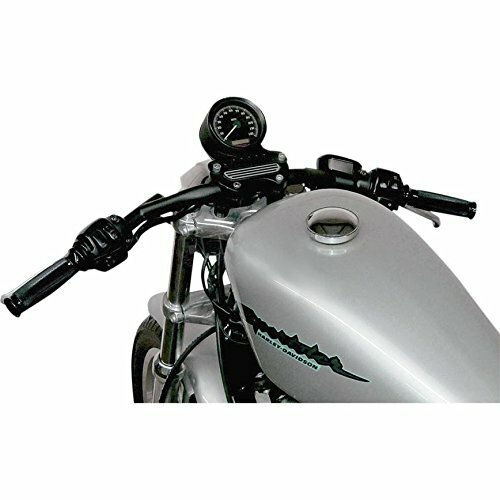 Cafe-style handlebars with a unique look and more aggressive riding position Come with billet end caps Slotted for internal wiring Fit 3-1/2in. If you have any questions about this product by Todds Cycle, contact us by completing and submitting the form below. If you are looking for a specif part number, please include it with your message.